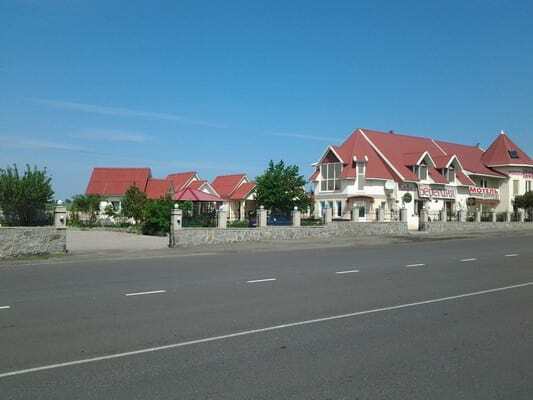 Motel "Bereginya" is located on the 105th kilometer of the motorway R-06 "Ulyanovka-Nikolaev". The motel is a two-storey complex with 9 rooms, each of which is equipped with TV, air conditioning, comfortable furniture, Wi-Fi access. 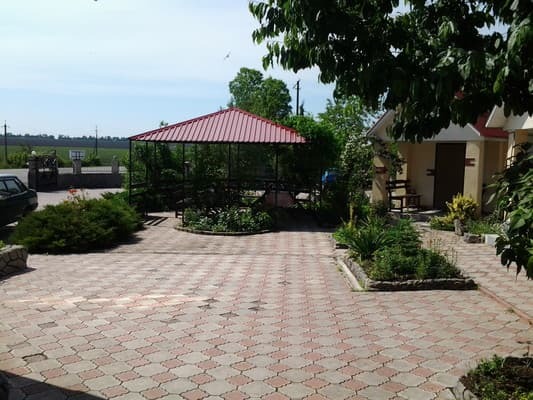 On the territory of the motel there is free parking, a summer gazebo, BBQ. On request, guests can arrange a transfer from Yuzhnoukrainsk. It is possible to eat deliciously in the cafe located on the ground floor of the Beregina Hotel. 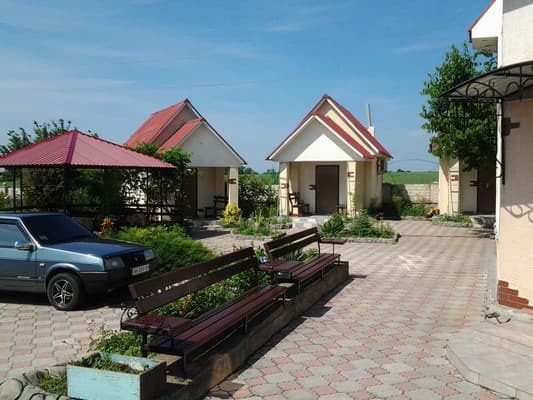 Motel "Bereginya" is engaged in the organization of rafting tours. 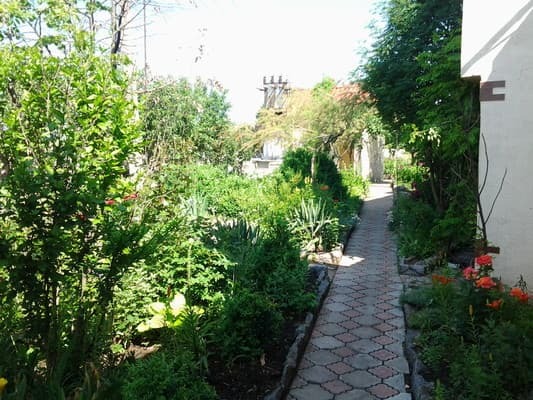 Spends excursions to the picturesque, archeological, historical places of the famous canyon and the tracts of the Southern Bug-Bug horde, as well as visiting cultural places of Yuzhnoukrainsk. Distance to Yuzhnoukainsk is 5 km away. 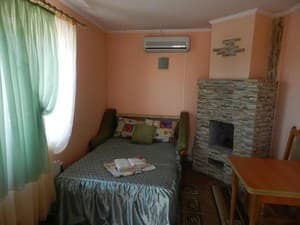 Description of the room: One room is equipped with a double bed, a fireplace and all the furniture necessary for comfortable living. A bathroom is common for 4 rooms. Description of the room: One room, equipped with a double bed. This room type can accommodate up to 3 people. Всё хорошо. Чисто, уютно. Хороший, внимательный персонал. Хорошая кухня. The hotel has a cafe, working hours from 7:30 to 24:00. 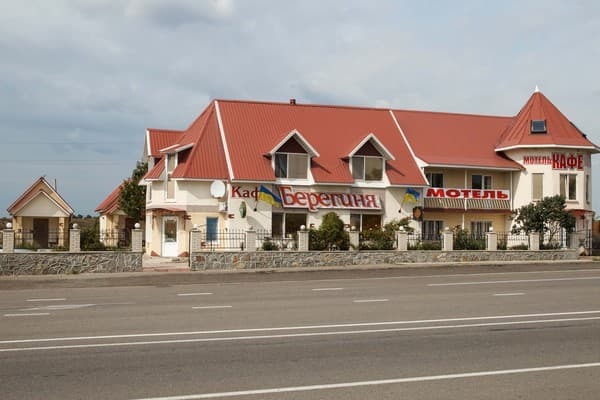 Motel "Bereginya" is located on the 105th km of the motorway R-06 "Ulyanovka-Nikolaev", not reaching Yuzhnoukrainsk 5 km. From Yuzhnoukrainsk by shuttle bus in the direction of Arbuzinka or by taxi. Transfer is possible.